The White Horse is one of Britain's oldest Inns and with its thatched roof, oak beams, log fires and warm welcome is probably one of its most beautiful, as well. 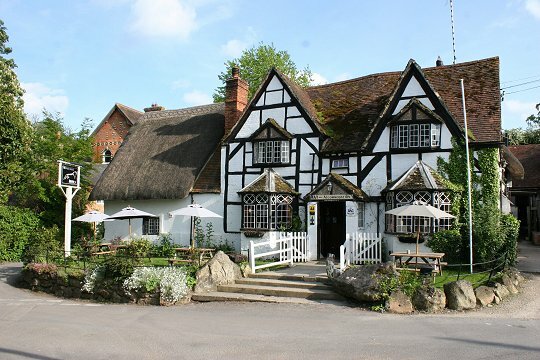 Built in Elizabethan times, the pub itself is almost half a century old and is set in the olde worlde village of Woolstone, in the heart of the vale of Whitehorse; 11 miles from Swindon, 5 miles from Faringdon and 7 miles from Wantage. In summer, the pub opens its own open-fire pizza oven in the garden, which always proves especially popular.